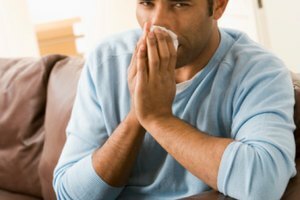 Sinus pressure can cause pain during allergy season and also when you have a cold or the flu. 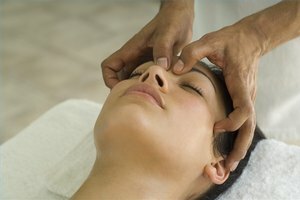 In addition to over-the-counter remedies, folk remedies have been used to help clear the sinus passageways in your upper nasal cavity and underneath your eyes. 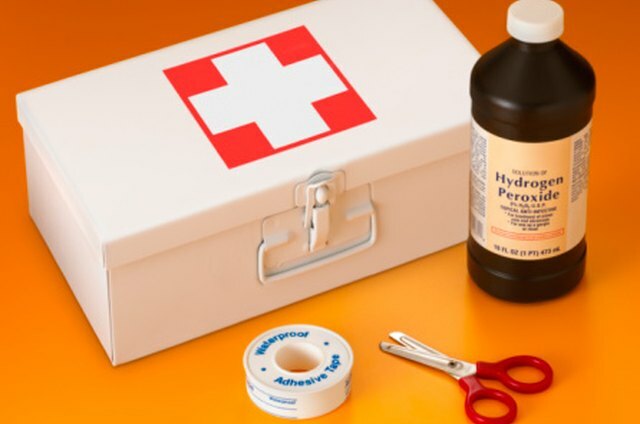 Hydrogen peroxide is inexpensive and readily available for helping to clear the sinuses. It takes about 5-10 minutes per application. Remove the cap of the hydrogen peroxide. Carefully pour it into the cap until full. Insert the end of a cotton swab into the hydrogen peroxide until soaked. Tilt your head completely to the left-hand side and support your neck with a pillow or towel. Insert the hydrogen peroxide-soaked end of the cotton swab into your right ear. Squeeze the end of the cotton swab to release one to two drops of hydrogen peroxide into your ear canal. Dip the cotton swab again into the hydrogen peroxide and squeeze again to release one to two more drops. Lay with your head tilted and the hydrogen peroxide in your ear for five to 10 minutes. 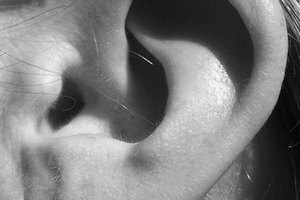 The hydrogen peroxide makes a crackling or bubbling sound in your ear, but it does not cause pain. Apply a tissue to your ear and slowly raise your head to the normal vertical position. Blot your ear with the tissue to remove excess hydrogen peroxide. Your sinuses on the right-hand side may feel a lot more cleared. Dip a fresh cotton swab end into the hydrogen peroxide, tilt your head to the right-hand side and squeeze hydrogen peroxide into your left ear. Lay with your head tilted for five to 10 minutes. Hold a tissue to your right ear and raise your head to the normal vertical position. Blot away excess hydrogen peroxide. Your sinuses should feel more clear on the left-hand side. Repeat the hydrogen peroxide sinus remedy every three to four hours. Instead of cotton swabs, try a medicine dropper. A partner can also help squeeze the hydrogen peroxide into your ear. Do not insert the cotton swab all the way into the ear. Do not use this method on young children. The bubbling and crackling sounds may be unpleasant to them.